Founded by ethnic Turks in 1299, the Ottoman Empire took its name from Osman I, the leader of what was initially a small principality in northwestern Anatolia (Asia Minor). 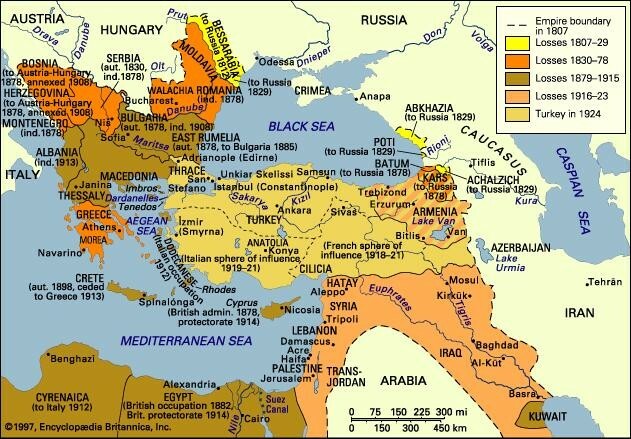 Over the course of the next six centuries, Ottoman rule expanded across much of the Mediterranean Basin. At the height of its power under Suleiman the Magnificent (1494-1566), the Ottoman Empire represented a vast multilingual and multiethnic realm encompassing southeastern Europe, North and East Africa, Western Asia, and the Caucasus. During a period of decline, the Empire lost much of its territory in southeastern Europe and the Balkans. 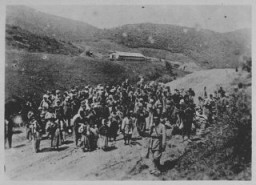 After World War I, the Ottoman Empire collapsed, leading to the establishment of the modern Republic of Turkey in 1923 and to the creation of other new states in the Middle East.